Updated 10/12/15. The introduction of acids used topically on the skin has been one of the biggest advancements in skin care. After all, they were introduced back in the late 80s but after all these years, alpha hydroxy acids (AHAs) and beta hydroxy acids (BHAs) are more popular than ever. 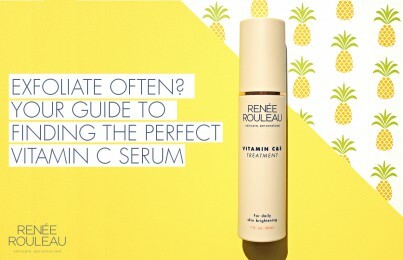 That’s a true sign that these ingredients really do yield positive results in the ever-changing skincare industry. (I remember when I first got my hands on an acid early in my career. They were highly unstable and you had to be so very careful when using on the skin to prevent a burn. Today’s formulas are so much safer and more effective.) These acids help eliminate multiple skin conditions. Because exfoliating acids are so widely used today, they are found in many products including cleansers, toners, skin peels, moisturizers, and serums. I’m often asked “How can I make sure I use exfoliating acids correctly?” Although exfoliation can result in tremendous improvement of the skin, it is important to use exfoliants in a safe way to avoid over-exfoliation and unnecessary irritation. Here are my helpful tips to ensure you’re getting the best results from exfoliating acids. Tip #2: Use only at night. It has been shown that using exfoliants regularly increases sun sensitivity by 45 percent. Acids that are left on the skin for extended periods of time (i.e. moisturizers, serums) should only be used during the evening—cleansers that are rinsed right off are not considered in this category. Acids get better results at night because your skin is in repair mode and acidic ingredients encourage and aid in skin repair. 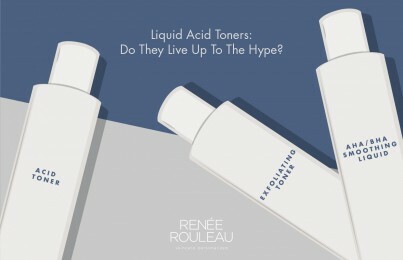 Tip #3: Use acids formulated for your skin type. I recommend to my clients to choose from one of three different strengths (10%, 17% and 20%) of the AHA Smoothing Serum (with glycolic acid) based on the type of skin you have. While people will gravitate to the stronger percentage thinking it will give them better and faster results, it’s definitely possible to cause sensitivity if it’s more than your skin can handle. BHA Clarifying Serum uses salicylic, lactic and glycolic acid and is very effective for clearing acne clogged pores. And then of course, for a really powerful (but still gentle) at-home booster treatment, you can’t go wrong with Triple Berry Smoothing Peel that uses salicylic, lactic and glycolic, malic and tartaric acids. Take our Skin Type Quiz to see which formula is right for your skin. See all of our exfoliating products here. Tip #4: Do not use acids or exfoliate daily. Acids that are left on the skin, such as acid-based serums or moisturizers, should not be used on a daily basis. Research continues to show that when the skin is exfoliated daily, the inflammation created (even if not visible) will accelerate the aging process (Read: Science Lesson: The Free Radical Theory Of Aging). In the case of acid serums, I suggest they be used only three nights on, three nights off, alternating with a hydrating skin serum like one of these. The idea behind this routine is that for the first three nights, the exfoliating acid continues to work deeper within the skin every night that it is applied. Then, after three nights, when the skin is well exfoliated, you will use a hydrating serum to feed the “new” cells with nourishment by use of performance ingredients. Make sense? Tip #5: Use caution with acids if using the Clarisonic brush. I’ve reviewed this brush before and I highly recommend that you do not use it as often as they suggest—especially if you’re going to be using acids. Read: Is The Clarisonic Brush Harmful Or Helpful To The Skin? Tip #6: Use as directed. Of all the skin care categories, exfoliating acids are the one type of product where it is absolutely crucial to follow the instructions. It is far too easy to overdo it if you use the product more often than directed or apply it in the wrong way. I have had had so many new clients come to me through the years who have told me that they can’t use acids because they cause irritation or breakouts. However, after instructing these individuals on how to properly apply these skin care products, they now use them just fine. Go easy and use as directed. Tip #7: If experiencing discomfort, discontinue use. It is so important to listen to your skin. While it can be a bit tricky to discern discomfort from diligence with acids, a tingling sensation is normal but a prolonged burning sensation which results in red and dry skin is not. Read: Your Skin Is Talking To You. Are You Listening? Tip #8: Be sure to use calming antioxidants in your other skin care products. 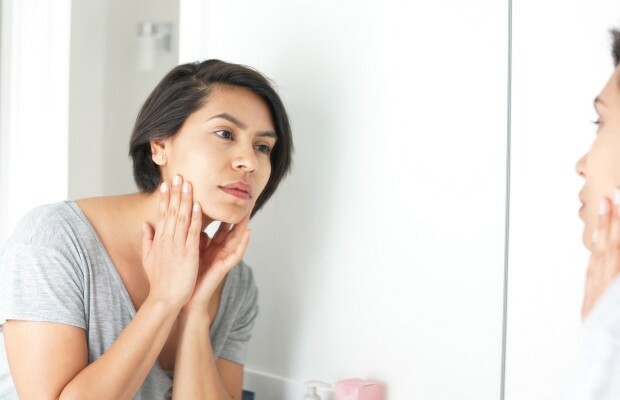 Inflammation (even if your skin never shows redness) is known to be the underlying cause of aging and can work against your intention to achieve more youthful-looking skin, especially if you are using many exfoliating products in your routine. Read: Must-Have Skin Care Ingredients For Those Who Exfoliate Regularly. To get the best results that acids are sure to deliver, the goal is to find a balance between using the products aggressively and effectively, while avoiding irritation and overuse. Read: Retinoids Vs. Retinol: Which Is The Best To Use For Your Skin Type? Read: What’s The Best Spot Treatment For Blemishes? Which skin care products are best for you? See our nine skin types or take the Skin Type Quiz and get products recommended. Oh Mahalo Renee for this post. I was just about to message Lydia about too much glycolic or not enough! I was using a %5 glycolic exfoliator with my Clarisonic for the face but I’m stopping that as of today! Mahalo!! !